A perfect pillow can be the key to a good night's sleep, whether you're pregnant or not. 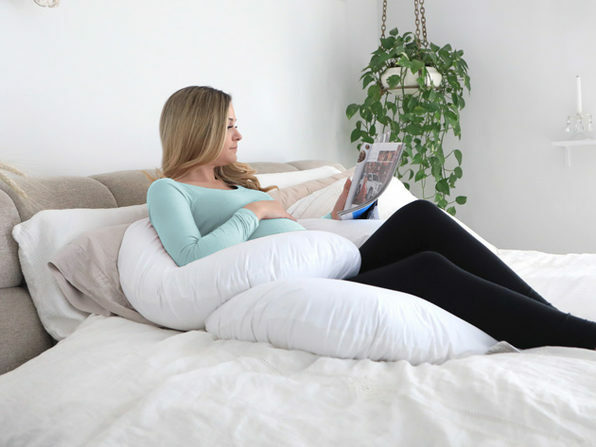 This C-shaped pregnancy pillow is great for anyone that has issues getting comfortable, and a must-buy for anyone expecting. 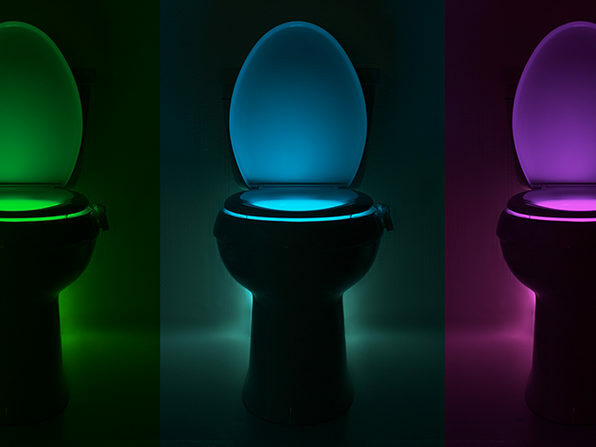 It supports your back, hips, knees, neck, and head all with just one pillow (so you can finally get rid of the giant stack you keep around). 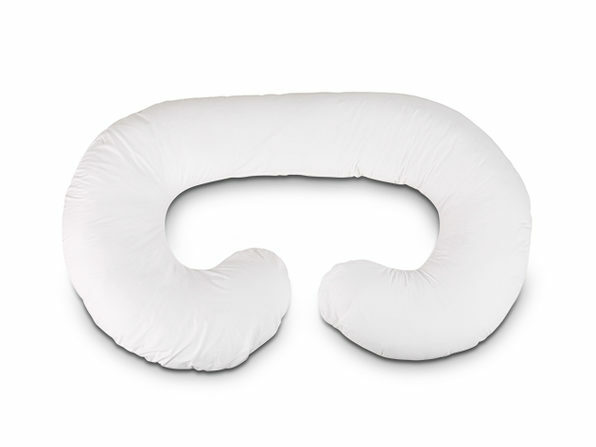 The pillow also comes in handy for nursing, and is great for post-surgery or injury recovery. 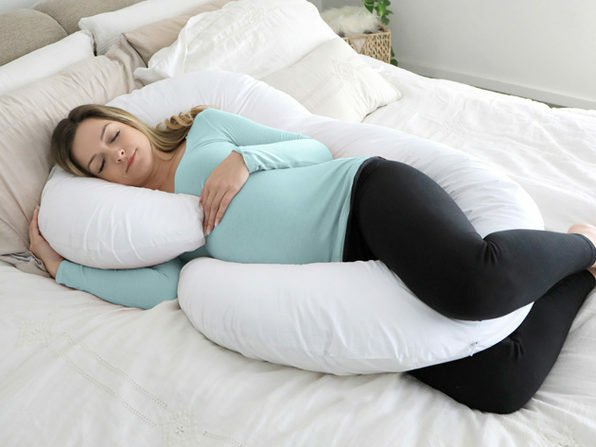 Fall in love with falling asleep again with this multipurpose pillow. 57" x 30" x 7"